Thousands of good luck cards are sent and received every day for all manner of occasions. The sentiment is fine but they are all very predictable in their appearance and sentiment. Think of how many you have signed at work along with everyone else, one card carrying dozens of messages all saying the same thing, not very original is it. 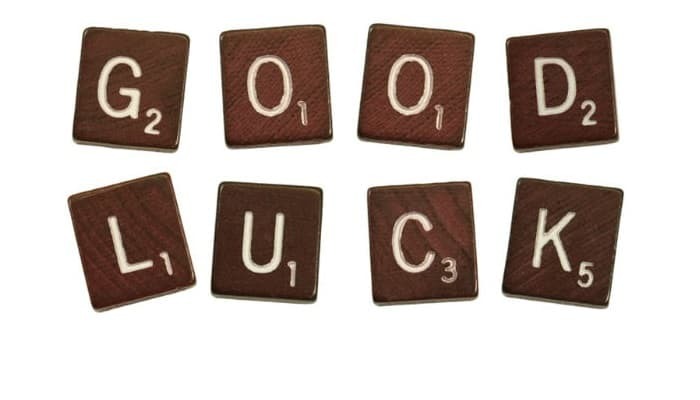 When it comes to originality you cannot beat this Good Luck Message business ecards to ensure that the recipient remembers the good luck message you sent. The brown Scrabble tiles spelling out the words Good Luck against the white background is both striking and unique. The message and sentiment are clear, and you can add your own words to make it even more personal. Being neither boring, OTT or over familiar, there are few more perfect ways of sending your best wishes to a work colleague. Simple to send via email, the recipient will be delighted to receive this and it will be remembered when that card bearing the multitude of signatures is tattered and torn and languishing in the recycling bin. Next time you need to send a good luck message to somebody you work with you know have the perfect solution. Sending our ecards to clients for the Christmas holiday season is common place these days so why not have a look at what our holiday ecards for business can do for your business.